Bio-terrorism, the subject of this book, is at the heart of many fears: the poor man's hydrogen bomb, a biological or chemical weapon of mass destruction can be made in a laboratory and transported, can silently devastate an entire population. The atrocities in New York and Washington on 11 September 2001 highlighted as never before the Western world's vulnerability to terrorist attacks of all kinds. As the global coalition seeks justice and retribution so millions of people around the world consider their exposure to further outrages. Bio-terrorism, the subject of this book, is at the heart of many fears. 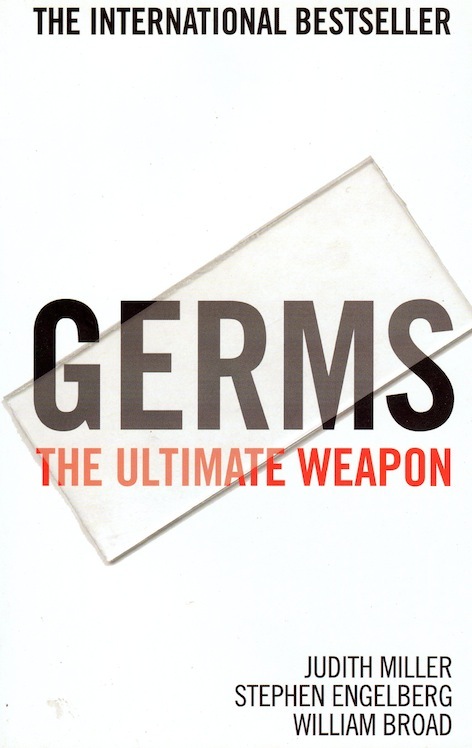 This chilling report reveals the spread of germ weaponry throughout the world and the massive, and until now largely undisclosed, effort to stop it. Readers see first-hand the vast extent of the Soviet Union's biological weapons program, with its rows of silos filled with tons of anthrax germs. They learn of efforts by Iran, Iraq and other rogue states to recruit the scientists who created this horror. And they learn of the West's secret effort to thwart the spread of such germ technology to those who would use chemistry and biology not to heal but to kill.